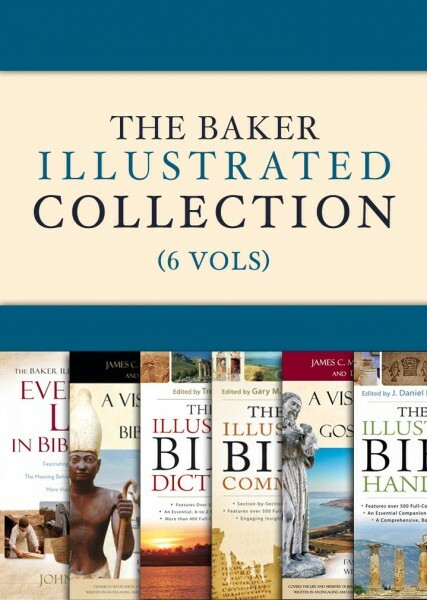 Bringing six outstanding Bible Study resources into one collection, the Baker Illustrated Collection includes: the Baker Illustrated Bible Commentary, Baker Illustrated Bible Dictionary, the Baker Illustrated Bible Handbook, Visual Guide to Bible Events, Visual Guide to Gospel Events, and The Baker Illustrated Guide to Everyday Life in Bible Times. The Baker Illustrated Bible Commentary is a nontechnical, section-by-section commentary on the whole Bible that provides reliable and readable interpretations of the Scriptures from forty-three leading evangelical scholars. A complete revision of the well-known Baker Commentary on the Bible, this updated resource features new articles and vibrant images, complete with photos, maps, and timelines to illustrate the text. The Baker Illustrated Bible Dictionary helps you read the Bible with increased understanding and confidence, offering easy access to articles on people, places, things, and events in Scripture, even if they only appear in a single verse. It is comprehensive, with extensive cross-referencing to related articles; it includes authoritative articles on the books of the Bible; and it provides a ready reference to up-to-date scholarship from biblical studies, archaeology, geography, history, and theology. A Visual Guide to Bible Events reveals the fascinating connections between Bible events and Bible locations from Genesis to Revelation. This beautiful, full-color book includes more than 500 photographs and maps to bring the ancient world to life. The engaging writing style makes this resource perfect for anyone--student, scholar, pastor, or layperson--who wants to understand Bible events in a deeper way. The Baker Illustrated Guide to Everyday Life in Bible Times aims to restore clarity and vitality to these portions of God's Word in order to help us grasp the full meaning of Scripture. It covers a whole host of issues, imagery, and customs. A Visual Guide to Gospel Events reveals the fascinating connections between the events recorded in the Gospels and where those events took place. This beautiful, full-color book includes hundreds of photographs and maps to bring to life the world in which Jesus lived. The engaging writing style makes this resource perfect for anyone--student, scholar, pastor, or layperson--who wants to understand Gospel events in a deeper way. PLEASE NOTE: Purchases of this product are not eligible for upgrade discounts. We apologize for any inconvenience.